Josh Farr can often be found somewhere on campus taking photos for his job in Student Life Marketing, for student organization or just for fun. 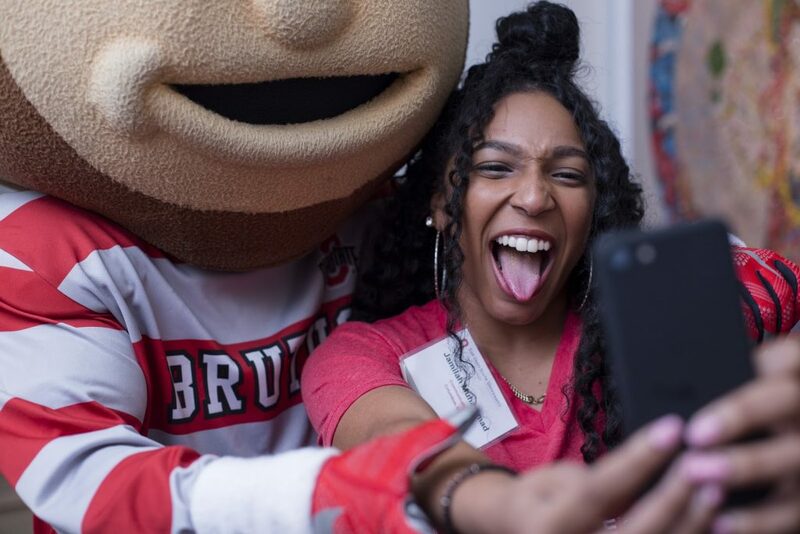 His photos show his creativity and passion and they capture his extraordinary Ohio State student experience. I’m a student at the Fisher College of Business with a specialization in logistics management. My parents are entrepreneurs, so growing up I was exposed to a lot what goes into running businesses. Naturally, I wanted to study business when it came time to pick a major in college. I selected logistics management since it has to do a lot with transportation and solving problems, both of which I am passionate about. What are you involved with on campus and in the Columbus community? I am a photographer for Student Life – I’m sure many have seen me covering events around campus. Through my position I’ve been able to get to know different facets of the Student Life community. I get the opportunity to help document events that I otherwise might not have heard about or been interested in. I’m president of the Photography Enthusiasts Society here on campus and I have my own wedding photography business. I spend many of my weekends traveling the country and photographing awesome couples – it’s an honor being trusted to document such a special day in people’s lives and it’s a privilege I don’t take lightly. During the summer between my sophomore and junior year, I spent some time doing humanitarian work in Tokyo, Japan. 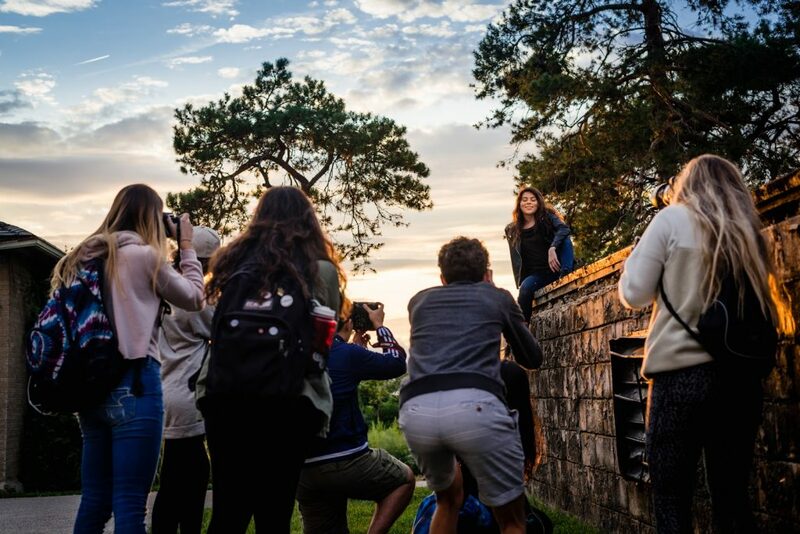 A lot of my friends were really into photography at this time, and we were living in incredible places. Because of their influence, I decided that I wanted to get into photography so I could better document my travels. Where do you find inspiration for your photos? I am currently studying the work of several pro photographers like David Alan Harvey and Hiroji Kubota. I’ve found that by studying the works of other photographers, I’m able to predict and frame things with much more ease. I also draw my inspiration from the people and moments around me, as these are often the most interesting things in front of my camera. What advice would you want to pass along to your fellow Buckeyes? 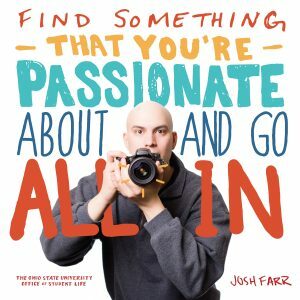 Find something that you’re passionate about and go all in. I know that it’s a bit cliche, but I don’t think I would be in the position that I am now as a photographer had I not decided one day to just go out and give it a go. See more of Josh’s photos at ohiounionphotos.org and on Instagram @ja.farr. Posted by koewler.9 at 8:13am Bookmark the permalink.